RICHMOND, Va — Addressing the need for increased socialization within the incoming student body, Virginia Commonwealth University (VCU) now allows freshmen to preregister for their preferred social cliques before the semester begins. While the university has over 600 clubs that are open to students, cliques are meant to represent dedicated lifestyles, rather than casual endeavors. They tend to be very exclusive and can require intense commitment. 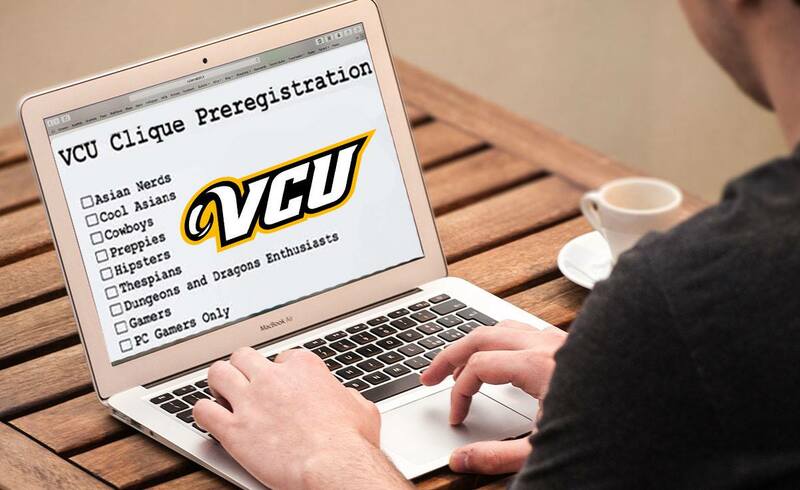 In the past, students have reported that they find cliques to be a source of stress, so VCU developed the preregistration initiative to take the guesswork out of the university’s complicated social scene. Although the university has made contractual agreements with many of the city’s social cliques to be both accepting and thoughtful during the enrollment process, students may still need to fulfill certain prerequisites. For example, those wishing to register for the prep clique need a background in Tommy Hilfiger clothing and a valid country club membership. The hipster community requires documentation that at least 70 percent of a student’s dorm room décor has been purchased from a thrift store. Students’ social backgrounds are also taken into account. Those interested in joining the independent music scene need to prove that they have attended a minimum of three open mic nights at Cary Street Cafe and that they own at least six Radiohead albums—two of which must be on vinyl. One rising freshman, Jason Hughes from Woodbridge, decided to sign up for the modern hippie clique while registering for his classes over the weekend. “I figured it’d be a friendly group to hang with, and my dad was a Deadhead back in the day,“ Hughes commented. The university is eager to gauge the results and Gales hopes that they will set an example for other universities and colleges across the nation.